Two activists behind the controversial videos claiming Planned Parenthood sold fetal tissue for profit have been charged with 15 felonies in a federal court in California. On Tuesday, the pair were accused of invading the privacy of medical professionals by pretending to be from a bioresearch company and filming professionals without their knowledge. The 9th US Circuit Court of Appeals agreed with a lower court's block on any release of the videos on Wednesday, ABC News reported. David Daleiden and Sandra Merritt of the Center for Medical Progress are charged with intentionally eavesdropping and recording confidential communications. The two face charges of conspiracy to commit a crime by posing as employees of a “phony fetal tissue procurement” company, Biomax, to gain access to various conferences where they secretly recorded conversations in which they enquired about buying fetal tissue. The pair received a felony count for each person whose privacy was invaded, along with an additional count for criminal conspiracy to invade privacy. Daleiden also accessed and stole confidential documents from Stem Express using the login of a fired employee. Planned Parenthood maintains it does not sell fetal tissue for profit. The organization's California and Washington centers donate fetal tissue to researchers, the organization said. It has received money in reimbursement costs for transport and storage, but has since stopped accepting these funds. The heavily edited videos proved damaging to Planned Parenthood, which received an increase in threats and harassment as a result. 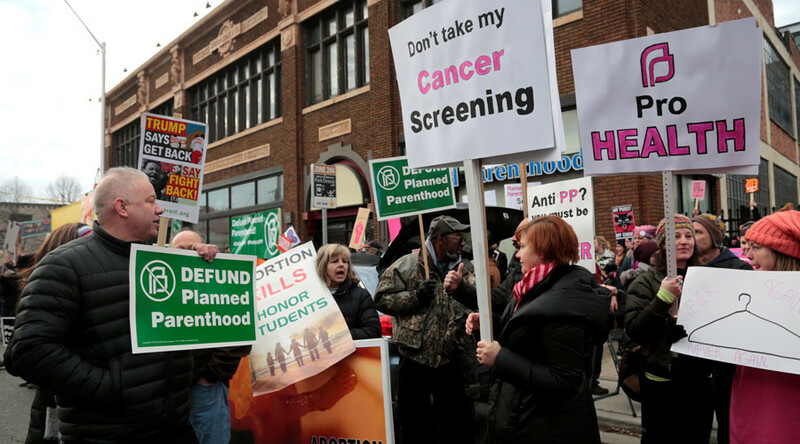 The videos further encouraged Republicans to call for Planned Parenthood to be defunded. A number of congressional committees launched investigations into the charges made in the videos, but no wrongdoing was found. Planned Parenthood also sent analysis to Congress, detailing how the videos had been manipulated. “We look forward to showing the entire world what is on our yet-unreleased video tapes of Planned Parenthood’s criminal baby body parts enterprise, in vindication of the First Amendment rights of all,” it said. Planned Parenthood released a statement. “As we have said from the beginning, and as more than a dozen different state investigations have made clear: Planned Parenthood has done nothing wrong, and the only people who broke the law are those behind the fraudulent tapes,” Vice President of Communications Mary Alice Carter said. Daleiden and Merrit were indicted in Texas last January. A grand jury had been convened to investigate Planned Parenthood and, after finding no wrongdoing, it indicted the two instead on criminal charges over their use of false identities. Those charges were dropped after a judge found the grand jury had exceeded its authority.